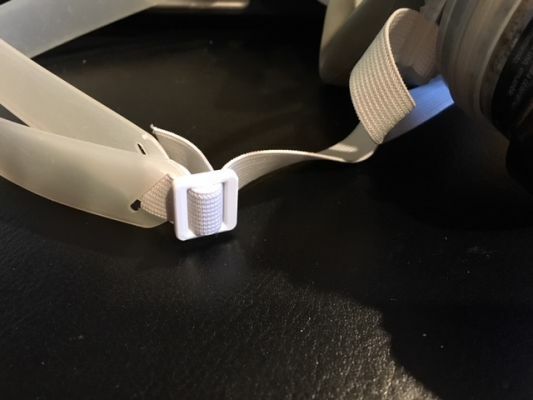 A small clip for 1/2" elastic strap. The small teeth keep the elastic in place. I used this to repair the dust mask shown in the photo.